AMINI Soma-Phiri yesterday resigned as Highlanders' assistant coach amid tensions and allegations of sabotage raised by head coach Erol Akbay on Monday. In a letter submitted to the club on Monday, Akbay blamed Soma-Phiri for the team's recent poor run of form and asked the executive to return former goalkeepers' trainer Cosmas Zulu to the senior team's dressing room. Bosso, who had a promising first half of the season in which they were among the title contenders, have been pathetic since the turn of the half, winning only once, 2-0 over Shabanie Mine, in the last six games. Following their third consecutive defeat suffered at the hands of Ngezi Platinum Stars who humiliated them 3-0, Highlanders called for a meeting to review the team's performance and that is where Akbay submitted the letter accusing Soma-Phiri of sabotage. This is not the first time Soma-Phiri has been caught in a sabotage storm as Kelvin Kaindu also raised the issue during his days at Bosso and Soma-Phiri was team manager. 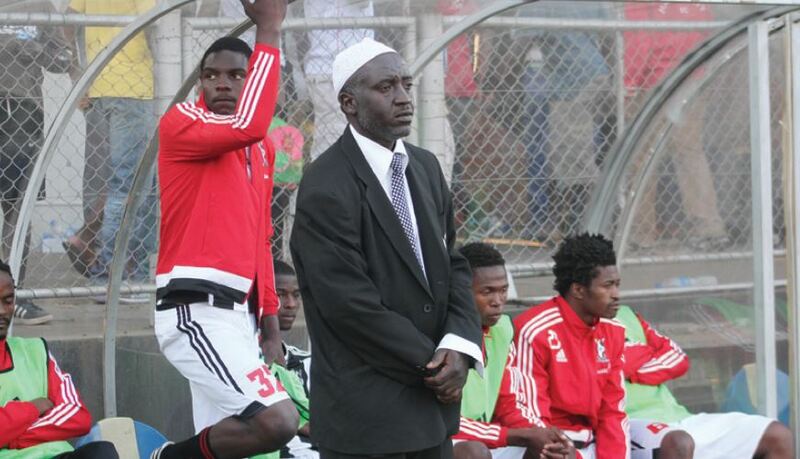 The club replaced Soma-Phiri with the late Willard Khumalo as team manager in response to Kaindu's complaints. When Akbay was appointed at the end of 2015, Soma-Phiri openly declared that he wasn't going to work under the Dutchman before doing a summersault. "It's a little bit tricky; this new man said to be coming, what really will he be teaching me? I don't think I can learn anything from anyone right now; I have gone through the mill. I have worked with so many coaches at many clubs here in Zimbabwe and South Africa and I don't see anyone coming to teach me anything, unless if he will be coming from Mars," Soma-Phiri said at the club's press conference in December 2015. Fast forward to 2017, Akbay is alleging Soma-Phiri is sabotaging his operations. Bosso reacted by accepting Soma-Phiri's resignation and now insist that results have to change, according to club chief executive officer Nhlanhla Dube. "We received from the head coach a letter in which he articulated what he viewed were reasons for the team's performance. We had to cross reference these issues with various members of the technical team and this resulted in the assistant coach Soma-Phiri resigning from work this afternoon. He wrote a letter to us that he delivered this afternoon. He articulated his greatest disappointment over the results of the team and his desire to allow the team to progress without him," said Dube. "As a son of Highlanders, he wished to step aside and allow the head coach, who felt that he was working against his progress, to then continue and show what he can do without the sordid interference from Soma-Phiri. I will hastily point out that we had a very amicable conversation; he wished to deal with it in a simple way, step back, have no issues, have no undertones, no bad feelings with the club and as far as he is concerned, he is a son of Highlanders, he can be redeployed at any point when the club decides they need his services. We've accepted his decision," Dube said. He said now that Soma-Phiri is no longer in the technical set-up, they will no longer tolerate excuses for poor performance from Akbay. He also defended the club against statements made by the coach that the dip in form was because of lack of strikers at Highlanders following the departure of Prince Dube and Rodreck Mutuma during the mid-season break. "This excuse that there are no strikers is absolutely ridiculous. We have seven strikers available so we can't hide behind a finger. There are times Mutuma and Prince were not available and we scored goals. We can't allow a situation where if we had a problem in the technical team and the coach feels the assistant coach the club provided is not working, we say fine. We're giving the coach carte blanche over the team to deliver. As professionalism requires, there's no interference, all conditions that are meet-able have been met and all we demand are results, not excuses, not reasons that are not palatable, it's obviously not going to be tolerated. "We can have one, two, three reasons, but you know what they say in baseball, strike one, strike two, strike three you know what that means. We can't continue, we must find a break point and by the way, assistant coach or no assistant coach, the buck stops with the head coach. If the team is not scoring, if the team can't string five passes, the buck stops with the coach. "We want to be clear that there are times that we communicate things and keep them internally, but that professionalism mustn't be abused for stupidity, or toothlessness or lack of cutting edge. It's simple because you respect processes and we will always do that. We will not do things that are unprincipled at Highlanders; we will stick to principle because principle at the end of the day is permanent. Short term populism is short term, it doesn't get us anywhere and at Highlanders if you can't stand by principle, there's no point being there and that is where we are," Dube said.